Since oily skin is the most resilient to oxidative stress as well as age related damage, you would think that it is one of the best skin types. Alas, if only Mother Nature would make things so easy for us! The very factor that protects oily skin also turns into its biggest trouble creator. Yes, I am talking about the hyper secretion of sebum that leads to the greasy, lipid film, which is the hallmark of oily skin. While excess oil on the surface of the skin keeps harmful free radicals at bay and limits the impact of weather changes, it also keeps in all the bad stuff. Think, blackheads and whiteheads caused when pores cannot purge out the dirt and the dead cells accumulated inside them and the pimples that this eventually causes. Fortunately, with the right skincare routine, you will be able to do away with all the minuses of oily skin and retain only the pluses. But, you will have to put the right skincare regimen in place and stick to it religiously if you want to see distinctive results. That said, before we discuss the process of handling oily skin, let me make one thing clear – there is a profound difference between the driveway outside your home and the skin on your face; meaning you can’t treat them the same. Scrubbing may work on the oil spill on the driveway but this is certainly not something that helps with oily skin. Hence, harsh soaps and over exfoliation are definitely out! But I have oily skin which means I can exfoliate it raw if needed! Whoever said that knows nothing about skincare. Yes, oily skin needs to be exfoliated on a regular basis and yes, you will need to put both chemical and mechanical exfoliation to use to keep the surface of the skin and the pores clean. But, oily skin is by no means the skin type that needs to be exfoliated daily or with harsh scrubs. In fact, if you have oily skin, you will never deal with flaking and dryness, which means twice a week exfoliation with a regular product and once in ten days with a microdermabrasion unit is all you need. Remember this all important fact – inflammation causes lasting skin damage and ageing and it does not matter if this inflammation is caused by free radicals or by over-exfoliation. So, the point to note here is that everybody, including your skin, walks home happy as long as products and procedures are used in moderation. Regardless of whether you have used a skincare cream/lotion at night or not, if you have oily skin, you will wake up to slick film of sebum on your face. Most people instinctively deal with the oiliness by using a harsh cleanser that leaves their skin dry for a while. In reality, stripping the oil clean from your skin just encourages your body to increase sebum secretion. Moreover, it also increases the rate of cellular destruction and causes skin damage that is bound to accumulate over time. Instead of trying to wash and scrub your face into submission, follow this five step plan to control oiliness and prevent breakouts. You really don’t have to run to the bathroom the minute you are out of bed and wash your face clean of sebum. A proper cleansing can wait for a bit while you tackle your morning chores. Instead of rushing to use your face wash, start your morning by brewing yourself a few cups of black tea. Go ahead and enjoy some of the invigorating beverage and give your skin a dose of the tannins in the black tea by washing your face with the lukewarm concoction. If you have not brewed enough for an actual wash, soak some cotton wool in the liquid and wipe your face gently with it. Use upward strokes to infuse the dermal layers with the antioxidant and polyphenol rich beverage. This not only helps to clean the slickness that sits on top of the skin but also has an astringent effect, which reduces pore size and lowers sebum secretion. Allow, the tea to work on your skin for about 3-4 minutes, reapplying as needed to prevent it from going completely dry on your face. Splash some cold water on your face after this, which will simply add to the astringent effect of the concoction. If you are not a tea drinker, cold infuse the tea at night (soak the tea leaves in room temperature water overnight) and use it in the morning as suggested above. Yes, you will need to cleanse your skin at some point in the morning but starting your skincare routine with tea cleansing will maximize your efforts to rein in sebum secretion and keep your pores clean. That said, right after shower, and you are one of those lucky few people who can actually enjoy a leisurely hot water soak/shower without worrying about its detrimental effects on your skin, use a foaming cleanser on your skin. Salicylic acid is of course the gold standard when it comes to keeping oiliness at bay. But, there are also several natural ingredients that work well in conjunction with this beta hydroxy acid (BHA) and on their own. So pick a cleanser that contains, extracts of cucumber, tea tree oil, licorice root extract, calendula, etc. that help to curb sebum production and remove the dirt and grime plugging the pores. You may want to consider L’orpur gentle cleansing lotion. When applying the cleanser, massage your skin upwards using the product and wash it off with warm water and a final splashing of cold water, which will clench the pores. Contrary to perception, you don’t need to slough off dead cells from your face every day if you have oily skin; that degree of scrubbing is only needed when you suffer from serious skin flaking, which is seldom a problem for those oily skin. An alternate day schedule or twice a week regimen works well. If you are using a cleanser that contains salicylic acid, your face is already getting its daily dose of chemical exfoliation, ditto for products that contain vitamin C, citric acid, lactic acid, malic acid or other AHAs. All you need after this is mechanical exfoliation which will help to remove the dead and dying cells from the surface of the skin. A good skin brushing system, botanical powders, soaked coffee ground, salt, sugar, mineral rich clay and oil seed meal will all get the job done. If you are looking for a high-end option couple your regular exfoliation efforts with a weekly or “once in ten days” session of microdermabrasion. Just remember that at no point should you over exfoliate your skin. Marked redness, tenderness or flaking are telltale signs of over-exfoliation and should be your cue to tone things down. So, you have tackled the sticky sebum and the icky dead cells on your skin with thorough cleansing and exfoliation, but who said that is going to stop your body from simply throwing more sebum your way? What I am trying to say here is that you will need to up your game if you want day long oil control! So, say hello to the mandatory round of toning. This is a process that does more than just remove leftover dirt, grime and residue from the cleanser and exfoliator! Toning actually helps to balance the pH of the skin, tightens the pores and clamps down the secretion of sebum. This means that all the efforts you put into keeping your face shine free will actually yield longer results if you use the right product for toning. That said, I am still as against alcohol based products for oily skin as I was for other skin types. Remember, what you are trying to do here is control the production of oil not to rob of skin cells of the natural fluids they hold. But that is what alcohol does; it actually dehydrates the cells. So, think premature wrinkles and lack luster complexion here. If you want to halt the hyper production of sebum, try a product that contain botanicals such as tea tree oil, lemon, grapefruit, orange and other citrus fruit extracts/essential oils, oat extract, witch hazel and others. Think L’orpur. To use the toner, soak a cotton pad in the liquid and dab it all over your neck, face and décolletage. Let the formulation stay on your skin undisturbed for about 2 minutes and just as it’s about to dry off, go to the next step of your skincare regimen. The mere mention of a moisturizer is enough to send people with oily skin running in the other direction. I agree with all of you who believe that the last thing your oily skin needs is more oil! But, who said that moisturization is only about rubbing oil on your face? Yes, anything that blocks your pores will cause trouble for your already clogged skin but don’t forget all those acidic products you are using to keep blemishes in check are stripping your dermal cells of their natural fluids. Unless you replenish these fluids, it won’t be long before your skin takes on the look of a shriveled, wrinkled raisin and the damage will be irreparable. So, the point I am trying to make here is that don’t shun the use of a skin serum or a replenishing moisturizer; instead, pick a non-oily product that contains nutrients and botanical derivatives that clarify the complexion, boost cellular regeneration and restore the fluid level in the dermal cells. Look for ingredients such as hyaluronic acid, glycerin, honey, neem extract, niacinamide, peptides, alpha hydroxy acids from fruits, etc. You can’t go past L’orpur oil-free moisturizer. Apply small dots of your favorite formulation all over your neck and face and work in upward strokes, lightly massaging your skin till the serum/moisturizer is fully absorbed and your skin has a clean and refreshed yet hydrated feel to it. Without a doubt, you will need sun protection but stay away from SPFs higher than 30 because as the protection factor increases so does the oiliness of the formulation. In fact, a gel or spray based formula will be far better suited for your skin type than a sun screen lotion. Like all other products in the category, you will need to reapply the sunscreen every 2-3 hours. So with that much layering, it is imperative to pick a formulation that is non-comedogenic. Ideally, your sunscreen should be the last product that you put on but if you are using makeup and want to use it under the coverage product, wait for 8-10 minutes after applying the sun screen and then put on your foundation. Apart from ungainly zits, the second most annoying issue faced by those with oily skin is that of runny makeup. It really does not matter what product you pick, chances are you will have a rough time keeping it on your face till noon. In fact, most ladies with oily skin have to deal with the seemingly unavoidable super oily T-zone by lunch time. Fortunately, we are living in the era of facial blotting papers that make easy work of sopping up the oily mess on your skin. Simply press and hold against the oily T-zone and the grease pan look will disappear in no time. 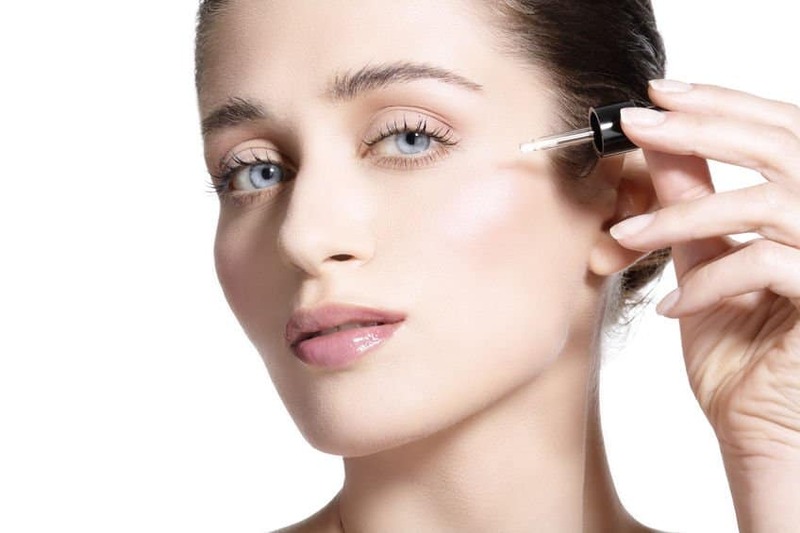 Once you have dealt with the excess oiliness, it is time to handle the dirt and the open pores. All you need for this is a rejuvenating or refreshing toner or you can even make do with some chilled green tea or just ice cold water. Use it just the way you would your toner. Soak some cotton wool in the liquid of your choice and dab it all over your face. Wait for a minute and then use clean tissue paper to dab the excess fluids from your face. Follow with a dusting of mineral compact powder and you will be able to hold on to your matte look for the rest of your work day. It does not matter what skin type you have, you have to remove the toxic mix of dirt, stale makeup, dead cells, salts and free radicals from your skin. And take my word on it when I tell you that gals with oily skin simply cannot afford to compromise on this part, not even once, unless you fancy a face full of zits. So, your night time skincare routine will include an additional step, but you can couple it with your cleansing efforts. 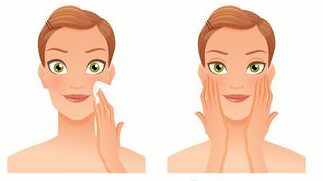 Although most people with oily skin cannot relate to the idea of using oil to cleanse their skin, the approach actually fools your body into curbing the natural oil production, hence proves to be remarkably effective. Plus, the process can be used to remove makeup and deep cleanse the pores all at once. You can use a commercial product, or you can whip up your own oil cleansing mix using blends of light/dry carrier oils and oil control essential oils like sweet almond and tea tree or hempseed and oregano or pumpkin seed and carrot seed essential oil. To use, massage the oil on your neck and face using upward strokes, let the dirt and makeup on your face dissolve in the lipids, which takes about 3-4 minutes. Then, wipe your skin with a clean face cloth soaked in warm water or tea. Go for round two if you have used makeup as the first application will remove the grime from the surface, while the second application will rid your skin of the excess sebum and the gunk trapped in the pores. Your toner is one product that can be used 2-3 times a day, so it is imperative to choose a formulation that does not irritate or dry your skin out even if you have oily skin. A restorative and rejuvenating product that is rich in both humectants and antioxidants will do your skin a world of good. Click here for a specific toner for oily/combination skin. If you do feel the need for a change, fruit and floral hydrosols also do a grand job of balancing dermal chemistry and giving your skin a hydrated feel. Hydrosols of lavender, helichrysum and rose can be used just as you would a regular toner. Alternatively, you could try a chilled concoction made by brewing green tea leaves and licorice root powder or rose hip tea. Apply the liquid of your choice using facial cotton pads, soaking your skin in the hydrating goodness of the formulation. Whether you are using your regular toner, a hydrosol or tea, move on to spot treatments while your skin is still slightly damp. 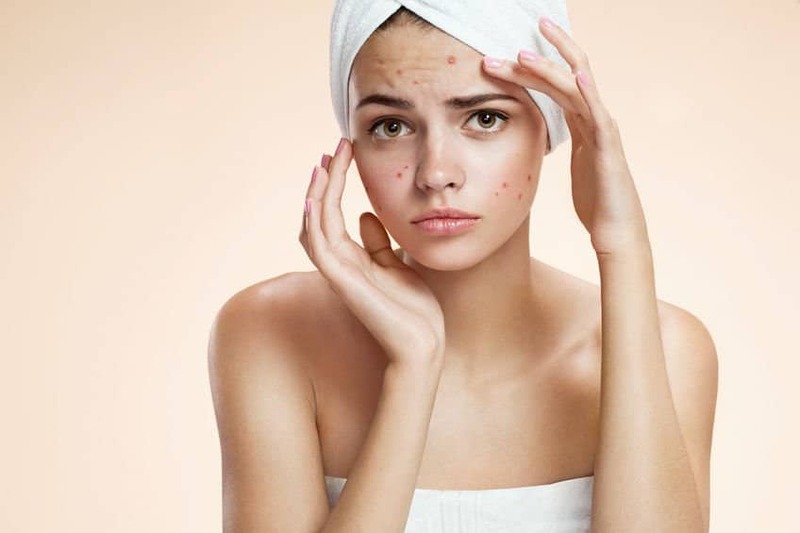 Those with oily skin usually have to put up with intermittent and often serious bouts of acne plus the lingering scars and the ever existent blackheads. Now, salicylic acid is one of the most effective ingredients for controlling sebum production and keeping the skin clean. If you have very oily skin, a product that contains this BHA can be used twice a day. If you suffer from cystic acne, you will need something stronger. Typically, products meant for severe acne contain benzoyl peroxide. This is a very strong ingredient that will cause dryness, redness and peeling, hence it should not be used all over the face. Instead, apply the gel or ointment containing benzoyl peroxide directly on the pimple. Wait for the gel to dry before moving to any pother product. If you are using gels or creams to treat acne scars or hyper pigmentation, these too ought to go on your skin after the toner. The idea is that toning removes residual dirt from your pores allowing active products to penetrate deeper, which gets you more efficacy from them. Depending on the spot treatment used, you can use a serum or “oily skin specific” moisturizer after about 20-30 minutes. If you have applied a benzoyl peroxide gel, do not use the serum on top of it. Lightly massage the formulation on other parts of the face and neck. While antioxidants rich products are well suited for AM use, go for a serum/moisturizer that contains skin healing and nourishing ingredients for PM use. For instance, try products that contain vitamin C, vitamin A, ferulic acid, hyaluronic acid, algae, mushroom and fruit enzymes, floral powders, fruit peel powders, essential oils and others. Use The Right Mix Of Products! If you have already used a preparation that contains salicylic acid, remember that ingredients such as vitamin C, retinoids, fruit acids and enzymes as well as all AHAs have an exfoliating effect apart from other benefits. So, do not couple products that contain too many of these active ingredients at any one time. 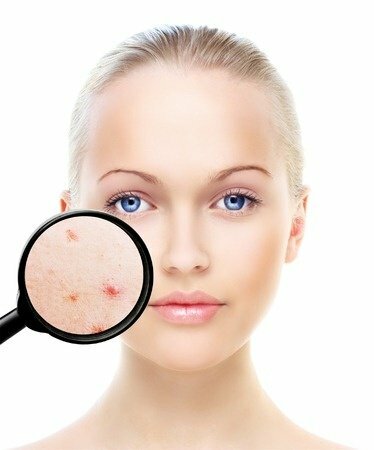 For example, if you are using a toner or cleanser with salicylic acid or benzoyl peroxide in it in the morning, then go for a hydrating toner that has hydrosols and hyaluronic acid and a serum that contains soothing botanicals along with nutrients like vitamin B12, C and E.
At night, you can use a serum that contains a retinoid or fruit acids or enzymes if you have used oil cleansing because the oil protects your dermal cells from the loss of water caused by acidic compounds. But, combining a salicylic acid cleanser with a toner that contains AHAs and a retinol serum will cause significant loss of both fluids and lipids, and even with your oily skin, you don’t want that! If chosen correctly, a mask can help all skin types, but when used on oily skin, the right mask can offer stupendous results. 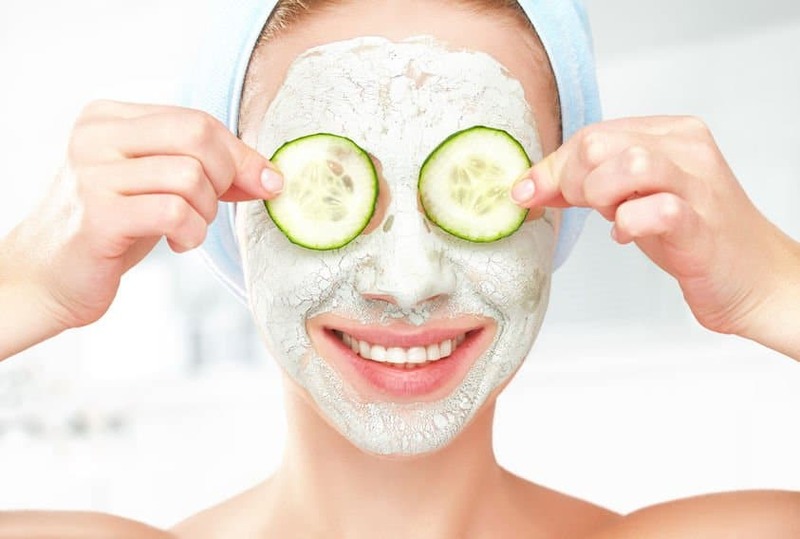 So, even if you have been diligent with your exfoliation and cleansing, do take the time out to use a face mask or a hydrating sheet mask every week. Start with the sheet mask on Tuesday and indulge your skin in the healing goodness of a mineral clay/ash mask that will erase the stress and strain caused by the happenings of the week. A clay mask will sop the dirt and excess oil from the surface of the skin and the toxins from the dermal cells. Of course, a high quality face mask will also rev up blood circulation, tighten the pores and prevent skin sagging. 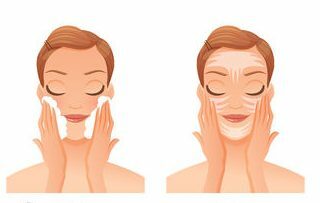 To get more from you face mask, don’t forget to go for a round of skin steaming right before mask application. Hot and humid summers pose the biggest risk for those with oily skin. If sebaceous glands going into hyper drive was not a big enough problem, the dust and pollutants in the environment only add to the woes of those with oily skin by causing increased pore clogging. So, as the temperature starts soaring, increase your weekly dose of clay masks to two rounds instead of just one. Alternatively, you can tend to your dermal problems with a peel off mask in the middle of the week and follow with a clay mask over the weekend. This will keep the surface of your skin as well as your pores free of dirt and cellular debris, minimizing the risk of acne. Moreover, even if you don’t normally use a cleanser that contains AHA’s or salicylic acid, summers are a good time to try out such cleansers. Another way is to use a toner that contains fruit acids or anti acne botanical extracts such as tea tree and neem oil that are natural antiseptics and astringents. The week before you start your period will be the toughest for you if you have oily skin. Known as the luteal phase, these are those 7-9 days that are notorious for causing oily hair and skin. Now, ladies with normal or dry skin types don’t have a problem with sebum secretion to begin with, so this phase does not pose much of a problem for them. But gals with oily skin will find it hard to keep their makeup on and the shine away from their face for more than two hours at a time during this week. Your best bet here is to use blotting paper generously to clean the oily mess. Remember to not wash your face too often in response to the heightened oil secretion as this will cause lasting skin damage plus irritate the skin, leading to an increase in the amount of oil produced by the sebaceous glands. Use an AHA or BHA based cleanser at least once a day all though this week to lower the amount of oil on your skin. Also, go for a mandatory round each of a peel off and clay mask. This will remove excess oil as well as dead cells from your skin. 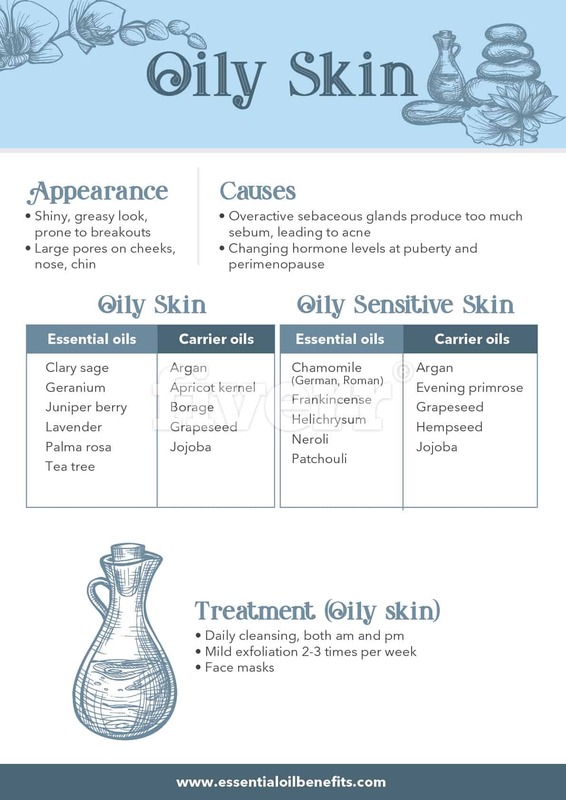 There you have it – all you need to know about a skincare regimen for oily skin. Want oily free natural skincare products? Try L’orpur oily skin skincare set presented below! 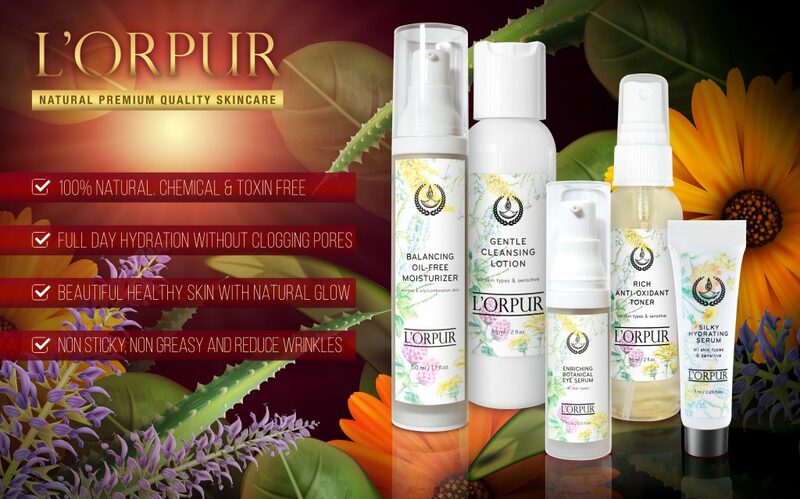 L’orpur skincare products only contains natural fruits, herbs and essential oils. They provide full day hydration without clogging pores. Click here to read more information. Glowing Skin In The 50’s Is Possible Without Surgery! The Skincare Routine You Need!